Whilst the organising team have endeavored to minimize disruption as much as possible, the nature of running and the danger of having runners mixed with cars means that many roads and lanes have to close. All roads will open as soon as the last runner has passed this point in sections, and the Traffic Management company will endeavour to do this as quickly as possible to ensure the roads re-open in a timely manner All roads will close around 1 hour before the first runner is due to atSwindon Half Marathon is supporting 16 Swindon Charities, which will have stations on the course, and is also benefitting the fitness and well being of 1000’s of Swindon runners. 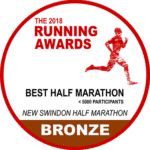 2017’s race raised over £70k for Local Swindon charities, and we apologise for the disruption caused, and hope that you, the local residents, will come out and support the runners during their race.Below is a list of road and lane closures, which in conjunction with the runners times map, show which roads to avoid for the duration of the race.Many of the junctions and roundabouts will have permissible passing available between runners where the marshal at that point deems it safe to do so.Our marshals and the Police on the course are there to help, so please just ask them on the course if you’re stuck or need assistance. This oil metformin 1000 mg tab sandoz has a beautiful sweet fragrance and natural green..